You’re browsing around on your iPhone or iPad and suddenly come across a great video and decide you’d rather watch on your big screen HDTV. What do you do? Well, if you have an Apple TV, you’re only ever a swipe and a couple taps away from beaming it straight over with AirPlay. iPod touch (4th generation) or later. iPod touch (5th generation) or later for AirPlay Mirroring. For photos and videos: Apple TV (2nd generation) or later. Tap the name of the device you want to stream content to. 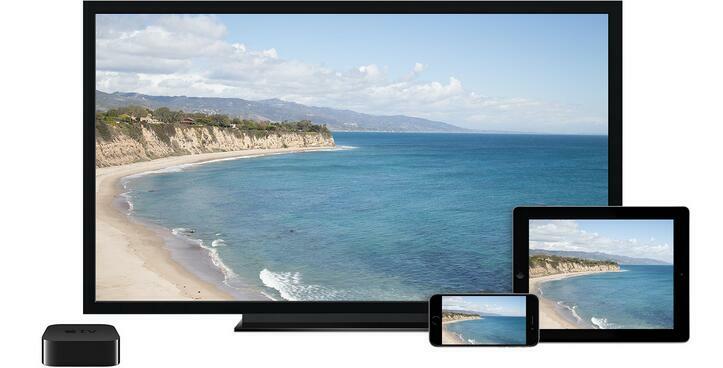 You’ll see (TV) or (speaker) next to each device, so you know what type of content you can stream. On iPad, you might need to scroll to see all of the available devices. When you choose an AirPlay device, audio or video from your iOS device will play on your AirPlay-enabled speakers or on the TV that’s connected to your Apple TV. If you turn on Mirroring, you’ll see your entire iOS screen on the TV that’s connected to your Apple TV. Your TV will use the orientation and aspect ratio of your device. If you want the image from your device to fill your TV screen, you might need to adjust your TV’s aspect ratio or zoom settings. You can stream content to your Apple TV (3rd generation rev A, model A1469 or later). Make sure that both devices have Wi-Fi and Bluetooth turned on. If you want to stream iTunes Store content, you also need an Internet connection. ByteCopy for Windows/Mac – It can rip Blu-ray/DVD to lossless MKV keeping multi-track subtile/audio and multi-track MP4/MOV for iOS device. So you can store your loved Blu-ray/DVD movies to iPad and iPhone to airplay to ATV. You can store the DVD and Blu-ray rips to NAS and some iOS device compatible hard drive to expend the storage space. Pavtube Video Converter Ultimate for Windows/Mac – Function of converting MKV, AVI, MP4, FLV, H.265, VOB, ISO, etc to MOV/MP4/M4V for iPhone, iPad and Apple TV. It also can fix no sound issue on Apple TV only if the issue is caused by audio codec. How to Play DVD Movies on Apple TV 4 via Plex Channel?